Autonomous driving is only the beginning of an evolution of how we will move and move goods from A to B in the future. And it does not require far-seeing visions to concretize three-dimensional multi-modular traffic and logistics possibilities. Required techniques and technologies have already reached a high degree of maturity. Almost every day we are surprised by new mobility concepts. Nevertheless, there are still many unanswered questions. This Forum brings together all Eco-System Players of autonomous traffic and logistics like OEM´s, Tier Suppliers, The ‘New Kids on the Block’, Traffic & Logistics Service, Technology, Mobile Operators & Connectivity, Infrastructure & Network, Database, Content & Application, Security & Safety, Quality, Certification Bodies, Insurers, Legal Services, Regulation Bodies, Private and Public Investors and Applied R&D. Corporates: Learn about technologies and business models pushing the autonomous traffic and logistics industry. Share your perspectives and insights and meet outstanding innovators in autonomous traffic and logistics. Startups: Apply and have the chance to attend, pitch, and exhibit. Investors: Discover highly-promising startups pushing the traffic and logistics industry. Many thanks to Dr. Susanne Päch from Hyperraum TV for this great Video with impressions from the Autonomous Traffic & Logistics Innvoation Forum 2018! Immerse yourself in an inspiring program with highlights which helps you to throw light on the forum´s key issues from plenty different perspectives! Do we see a Convergence or a Drift Apart? And who is holding the Steering Wheel? They are real – and they can deliver or kill. How and when will Drones dominate our Day-to-Day Lives? Where do the Experts see Opportunities, Drawbacks and Dangers of such Unmanned Aerial Systems? A Discussion between Platooning and Pop-up – and finding out what these Words mean in our Context. Are Road Traffic Acts and Insurancy Policies the real Barriers for Change? What are the Needs Users will pay for and where are the Challenges? What Talents do we need to shift towards Autonomous Driving and where do we find them? And what are Taxi, Bus and Truck Drivers as well as Chauffeurs and Pilots doing in the Future? Congratulations to Blickfeld, the winner of the Autonomous Traffic & Logistics Innovation Award 2018! We are pleased that 56 startups from 12 different countries – Austria, Bulgaria, Finland, France, Germany, Israel, Netherlands, Spain, Switzerland, Turkey, UK, and USA – have applied. They offer the latest and most exciting software and hardware innovations in the fields of autonomous systems technology for automotive, aerospace and rail, new business models/new services, solutions for insurance, data protection, privacy and cyber security. Bleenco GmbH builds human-centered Artificial Intelligence products for preventing accidents and improving human well-being. Blickfeld GmbH develops unique laser range scanners (LiDARs) and object detection as well as mapping software. Brighter AI Technologies GmbH: We anonymize visual data, collected for autonomous driving developments, while keeping it analyzable for computer vision and AI processing. Capricode: SyncShield is the most innovative solution on the market for dynamic over-the-air operations. It has full open interfaces for integrations to other internal (e.g. ERP, CRM, billing) and external services (e.g. Spotify, web stores, service companies) while keeping the actual connected device operations automatic and secure. High Mobility GmbH standardizes the access to cars with today over 150 APIs (functions) for developers and makes it easy for the carmakers to work with a worldwide developer community. Ion Terra is the leader in providing a low resource needed flexible software platform rtCVITM that enables “Real-Time Raw Data and Sensor Fusion creating Intelligent Data enabling Autonomous Driving” being able to run inside the ECU or the GPU. MotionsCloud UG claims to be the automation engine for property and motor insurers to streamline and automate claims processes. NAVENTIK GmbH: NAVENTIK PATHFINDER is rethinking the way how we use satellite navigation today and will provide the first functional safety qualified GNSS system for vehicle automation. Ai Incube GmbH (Parknav) precisely estimates the availability of street parking per street at large scale 24/7, delivering this solution to automotive OEMs and mobile-payment companies. Powerplace is a technology-solution enabling mobility service providers to build seamless demand responsive systems. Our analytical framework helps to analyse micro-data (sensor-data) of end-users in terms of mode of mobility, contextualizing this data with publicly available data on places, events and public transportation supply and exploring the mobility demand. Savari builds V2X software and hardware sensor solutions for automotive customers (Tier1 & OEM), smart cities and mobility infrastructure vendors with the vision of making transportation predictive, safer and more efficient. Swarm Logistics GmbH is a decentralized & self-organizing logistics network in the machine economy. We are creating the technology for the world’s first “decentralized autonomous logistics organization” (DALO) with hyper efficient sourcing and a peer to peer coordination – run by machines, based on blockchain & powered by AI. 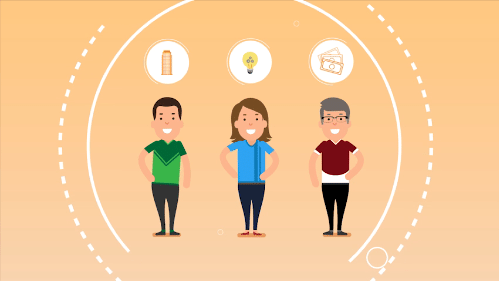 Tapoly Ltd. offers an on-demand insurance solution that will disrupt the traditional offerings that depend on annual premiums and are not flexible enough for the lifestyle of those market participants in the sharing economy. We match our product offering to the lifestyle of our target customers, and look to utilize machine learning technology to help us understand customer behavior, detect incidents, and validate claims. We are looking forward to further commitments shortly. With a broad-based backbone and decades of experience in innovation, technology and industry, Munich Network is a tech industry driven private and independent nonprofit organization for promoting collaborative innovation. Munich Network members mostly are leading technology corporations from Germany and abroad, as well as research institutions, investors, consulting firms NGO´s and entrepreneurs. In addition, Munich Network is personally and directly connected with many of the most important technology centers in Germany, in Europe and internationally. Munich Network links different groups in the innovation ecosystem by connecting parties in search of innovation (‘innovation consumer’) with parties that offer groundbreaking solutions (‘innovation provider’) and parties who enhance innovation (‘innovation enabler’). Munich Network’s role is that of an ‘Innovation Catalyst’ that accelerates innovation by networking and bringing together these worldwide relevant players who otherwise might not discover each other.